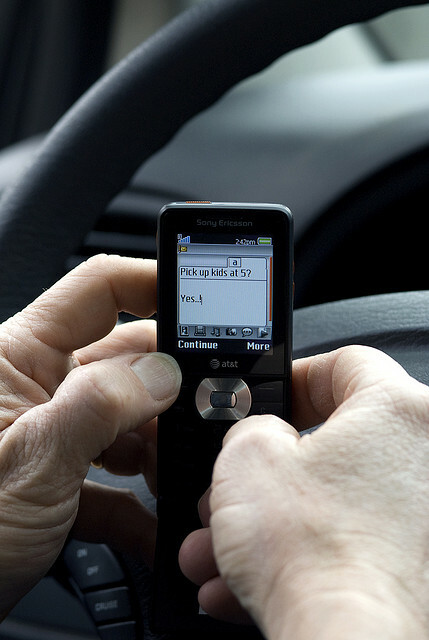 Motorists who use their mobile phones while driving are more likely to commit other driving sins, a survey has found. According to research by the US-based AAA Foundation for Traffic Safety, more than two-thirds of drivers admitted to talking on the phone while driving in the last month. This was despite the vast majority (89%) saying they felt other drivers using mobile phones were a threat to their personal safety. "Ninety percent of respondents believe that distracted driving is a somewhat or much bigger problem today than it was three years ago, yet they themselves continue to engage in the same activities," said Peter Kissinger, President and CEO of the AAA Foundation for Traffic Safety. The research found that motorists who admitted to using their mobile phones fairly often or regularly were also more likely to engage in other risky driving behaviours. There was strong disapproval towards texting and emailing while driving (95%), although worryingly, nearly two-thirds of 16 to 24-year-olds (61%) admitted to reading a text or email while driving. Over a quarter of those surveyed (26%) said they had checked or updated social media while driving in the past month. "Every time you get behind the wheel and engage in risky driving behaviors, you're endangering your life and that of others on the road," said Beth Mosher, director of public affairs for AAA Chicago. "Distracted driving crashes are preventable tragedies and we must all take personal responsibility to fully focus on the task of driving."